Recently, scientists discovered coca leaf in between the teeth of a mummy. This suggests how she was killed. 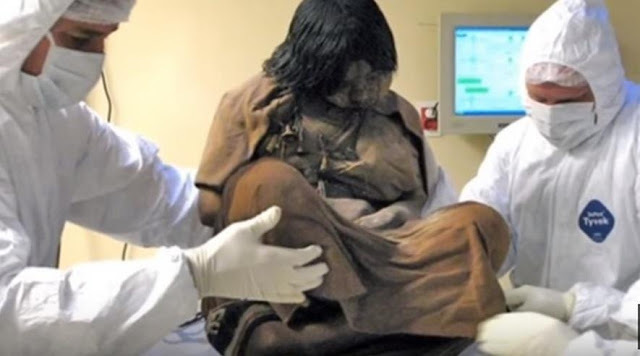 A mummy of a 15-year old girl, who was frozen for 500 years, was found in 1999 in Argentina. Even though it has been concluded that this girl’s body was lifeless for five centuries, when she was found her body was perfectly preserved. According to some foreign media, she was chosen as a sacrifice to the gods for religious reasons. It is believed that this girl called “The Maiden” was killed in this way. Recently, scientists have discovered that this girl had a bacterial infection when she was sacrificed. They say that the bacterial infection is similar to tuberculosis. They think that this discovery could potentially help in the treatment of the modern illnesses.